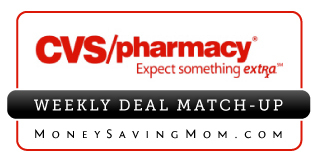 Here are the best deals at CVS this week, with a big thanks to Passionate Penny Pincher for her help in compiling them. On Memorial Day, CVS is offering 30% off regular price and free shipping with the code 30FREESHIP. I stocked up on a bunch of hosiery!